One of our favorite new toys here at All Things Barbecue is The Smoking Gun. This tool allows you to quickly infuse smoke in things that you’d have a hard time smoking on a grill or smoker, like ice cream. 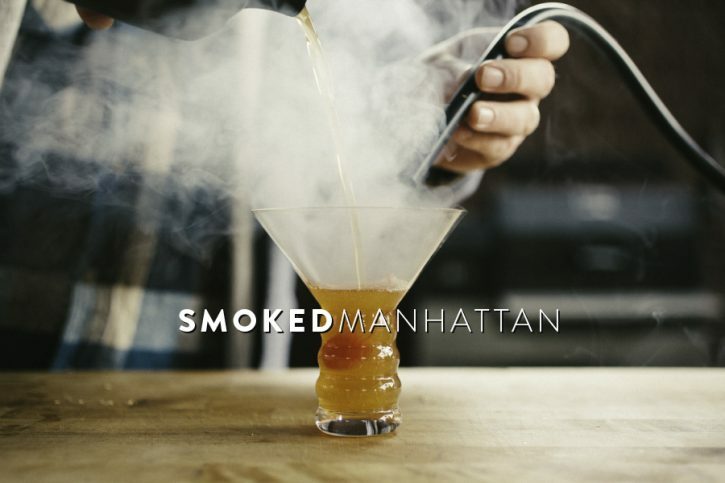 Of course, with New Year’s Eve right around the corner, it’s the perfect time to impress with a smoked cocktail! Our take on the Manhattan features Knob Creek’s straight rye whiskey. This is a 100 proof whiskey that stands up well to the sweetness of the sweet vermouth. And we found that the spiciness of the rye really compliments the drink. The Smoking Gun is a simple concept, really. Fine particles of wood are placed in the chamber on top of a mesh screen. A fan pulls air from above the wood and sends it through the end of the gun. The wood is ignited with a lighter, and the steady flow of air allows the wood to burn and create smoke using only the power of the fan, while putting off almost no heat. 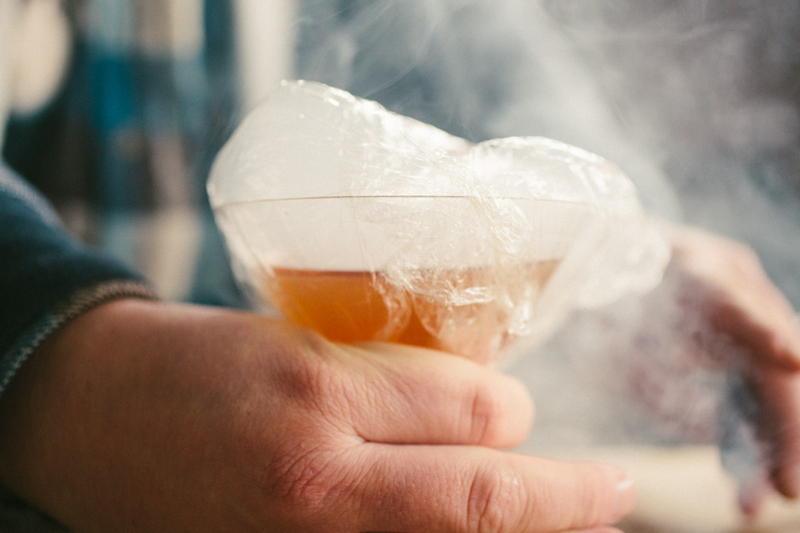 This allows you to place smoke on top of the liquid, trap that smoke (plastic wrap), and allow the smoke to infuse into the drink. 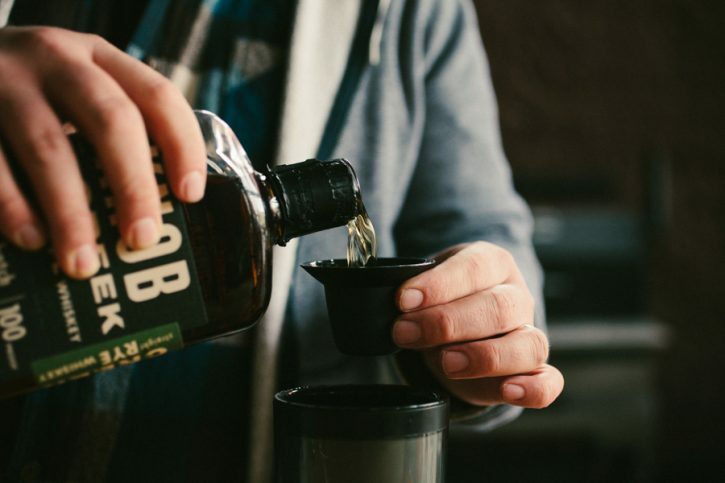 Combine the rye whiskey, sweet vermouth, and bitters in a shaker with ice. Shake or stir. Fill your Smoking Gun with the wood of your choice. Turn the fan on and light the wood with a lighter. Place the hose end of the smoker gun in a martini glass with a cocktail cherry. While the smoke is filling the glass, strain the cocktail into the glass. 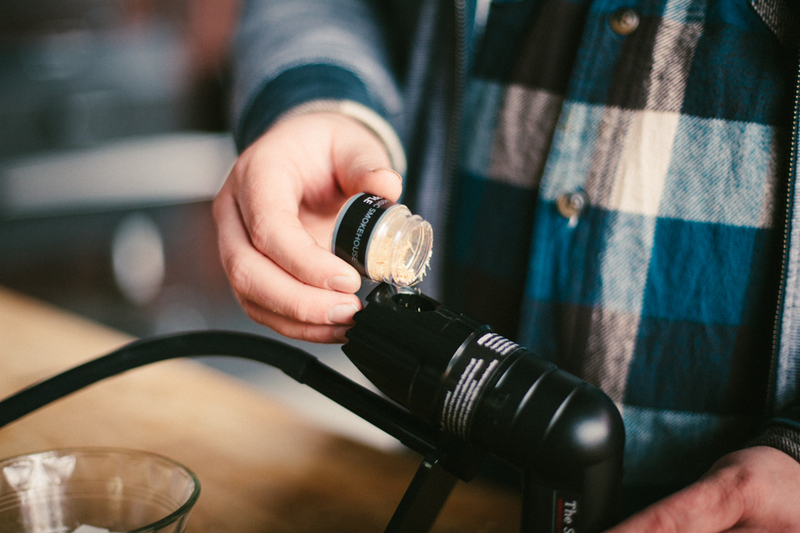 Cover the glass with plastic wrap and fill the top of the glass with smoke. Remove the hose and seal the plastic wrap to trap the smoke. Let sit one minute. Remove the plastic wrap.